I hope your family had a wonderful Easter. I know that I finally did. Permit me to explain. Growing up, Easter was my least favorite holiday. As a boy, as each year wheeled around to the spring, there was a part of me that dreaded the advent of Easter. I'm not exactly sure why. Was it all of the cutesy bunnies, the pastel colors (so much pink! ), and the eggs? (I hate eggs.) Was it that, like most boys, I hated to 'dress up' in my fancy clothes for services? Maybe it was all of those family pictures that meant I couldn't rough-house with my friends or get messy until late on all those many Sunday afternoons? Or, was it that the events of Easter seemed so long ago and so far removed from my experience? I am not entirely sure. All I can say is that for years, I just didn't get it. Part of me feels guilty even writing that! How could I have failed to understand such a meaningful day? How could the significance of the celebration of the risen Christ pass me by all those years? "Easter" is, after all, the one word that distinguishes, so very clearly, Christianity from every other spiritual world view in the world. But, rest assured, somewhere along the way, by God's mercy and the persistent prayers of loving parents, I got it. The wonder of the celebration of the Third Day and the opportunity for Eternal Life finally awoke within me. But, in all honesty, it took some years. Now, these many years later, I'm finally appreciating Easter, once more, on a wholly new level yet again. One of the temptations we face as believers is to remove Easter from our present experience. On the one hand, we see the events of Easter through the lens of history. On the other hand, we see Eternal Life as some future happening, something to be experienced after we die. But, such an understanding belies the meaning of "Eternity". When once we have experienced resurrection to life through the good news of believing in Christ, we are welcomed to Eternal Life today. And, by its beautiful definition, "Eternal" means "forever"--all of the past, all of the present, and all of the future. Do you understand how good that news is? It means that there is not a single sin or failure in your past that has not been washed away by His Eternal touch. There's nothing in your life right now from which you cannot be free if you allow His Eternal way. And, your future rests wholly and completely in His loving, Eternal hands. Truly understanding the miracle of Easter means that His resurrection and the Eternal Life He offers impacts your every day--the past, the present, and the future. So, I finally get it. And, I love that I get to be a part of a community at Northwest Christian where I can help the amazing students we work with to "get it" too. Sure, Easter was last Sunday. But, once we truly "get it", we also understand that Easter is today and tomorrow. So, from the bottom of my heart, have a great Easter. Under the direction of club sponsor Trish Richards, on March 27 and 28, members of the Northwest Christian High School speech club competed in the 2nd annual "Sparky's Call" speech competition on the campus of Arizona State University West. Each participating high school assembled three-person teams. Northwest Christian submitted two teams. The girls team included: Emily Garcia, Cameron Gibson and Victoria O'Hara. The boys team included: Andres Garcia, Ryan Thompson and Isaiah Engle. From 1:00 to 3:00 p.m. on March 27th, certified peer undergraduate mentors from ASU's Communication Assessment and Learning Lab (CALL) coached the teams and put them through their paces using the resources available to students in the school's state-of-the-art communication lab. Then, at 3:30pm, the fast-paced competition began. Part "Chopped," part "American Idol", the teams competed against each other. The top four teams were invited to return for the final round of competition on Saturday morning, March 28th. After two full days, the NCS girls team was awarded the Sparky's Call trophy by the judges. This is the second consecutive year for the trophy to be won by a team from Northwest Christian. Under the direction of Mark Lyons, members of the Elementary and Middle School Bands participated in the "Arizona Music Educators Association Elementary and Junior High All-State Festival of Performance" at Dobson High School in Mesa on March 14th. The AMEA is comprised of over 1,700 music educators who provide instruction at all levels of the Arizona educational system and students who are enrolled in music teacher preparation programs in the state colleges. The association annually sponsors state festivals for musically talented elementary and middle/junior high school students who are actively involved in band. If the AMEA organization represents the finest educators in the state, it could be argued that the festivals also represent some of the finest student musical performers in the state. Northwest Christian was pleased to be able to send multiple performers to the event. Crusaders who were nominated to play at the all-state level included: Caden Medina, Rachel Munchian, Tyler Grimalausko, Joel Mucklow, Isabella Saries, Catie Holt, Kenna Nagler, and Caleb Panikulam. Of those who participated, three Crusader performers were also recognized as 'top ten instrumentalists' within the respective sections. These students were Kenna Nagler (2nd), Caleb Panikulam (3rd), Catie Holt (2nd), and Isabella Saries (8th). School Choice Arizona has just released the 2015-2016 application for the Grand Canyon University Sponsored Scholarship to assist low to medium income high school students that currently attend or will be attending an Arizona private high school such as Northwest Christian School. School Choice Arizona was formed in 2006 primarily to implement the newly passed Corporate Tuition Tax Credit Law, but also to facilitate taking advantage of the Private School Tuition Tax Credit in special circumstances. Through these two avenues, School Choice Arizona's goal is to help families afford the education of their choice by providing scholarships to children attending qualified private schools in the state of Arizona. Similarly, Grand Canyon University has proven to be a strong supporter of Arizona Christian schools in that it uses its state corporate tax liability to support this scholarship through School Choice Arizona. This scholarship is not available on any website. Please stop by the main office to pick up the application or send a request to mreddy@ncsaz.org to have one emailed to you. Income limits and a detail of qualifications are included in the application. The deadline to apply is May 16th. On Saturday, April 4th, the Northwest Christian Varsity Cruader baseball team was excited at the opportunity to play an exhibition game at Chase Field, the home of Major League Baseball's Arizona Diamondbacks. The beautifully balmy spring afternoon game found the Crusaders facing off against the Scottsdale Christian Eagles. At the end of the game, Northwest topped Scottsdale, 10 to 1. On the heels of hoisting a purple "State Runners-Up" banner in the Don Sanderson Gymnasium for their 2014 season, the Crusaders are having another strong season and hope for another deep drive into 2015 post-season play. If you are new to NCS or seeking more information regarding our Mini Crusader (formerly MDO), preschool and kindergarten programs, we hope you will join the Early Education Faculty at the upcoming Open House and BBQ scheduled for Thursday, April 23rd from 5pm-6:30pm. This is a family friendly fellowship event. You and your child will have an opportunity to meet the teachers, view the preschool and kindergarten classrooms and participate in arts and crafts activities. A hot dog meal and ice cream treat will be served on the lawn. There is no need to RSVP. An informational meeting highlighting the many benefits of our half-day, afternoon kindergarten program will be held from 5:45-6:30, so plan to arrive early for the BBQ if you hope to make this meeting. Our current kindergarten students will be performing in the annual Spring concert in the gym at 7pm. You won't want to miss it! Though we're approaching the midpoint in the season, it is becoming apparent that the Northwest Christian high school golf team is enjoying an epic season. On Monday, March 30th, the varsity golf team successfully defended their home course against two schools that are likely to vie for a State Tournament bid: Scottsdale Prep and Sedona Red Rock. Northwest Christian won the 9-hole match by 4 strokes over Sedona, and 10 strokes over Scottsdale Prep, with a team score of 1-over-par 145. Medalist for the match was Skylar Adams with a strong 3-under 33, followed closely by freshman phenom Blake Lorenz at 1-under. All NCS golfers played well as Evan Winkelman was just 1 over par, and Bret Fisher was just 4 over. The varsity team also brought home their first team championship trophy in many years as they captured the Wickenburg Wrangler Invitational trophy on Friday and Saturday, April 3 and 4. Northwest Christian finished 25 strokes ahead of 2nd place Estrella Foothills, serving notice that the Crusaders are a legitimate contender for the State Championship this season. Blake Lorenz continued his hot play, draining putts from everywhere, and claimed medalist honors with a 2-day total of just 4 over par. Coach Brian Cornelius remarked, "Blake was a birdie machine on the second day, making birdies on several of his opening holes, but then had to give the strokes back by recording an 8 on the toughest hole, the par 4 13th." Skylar Adams was close behind Blake with a 6-over total to claim 2nd place individually, nearly recording the extremely rare Albatross (2) on the par 5 2nd hole, and despite suffering 4 of those over-par strokes on the shortest hole on the course, the 130-yard 16th. Bret Fisher recorded his best score ever on the treacherous target-golf layout with a 76 on Day 2. Theme this year was "If You Give a Pig a Pancake"
For the Friday, February 27th, week-ending assembly, working with a local farmer, the school brought in a massive pot-bellied pig. Then, for each grade-level, the class that read the most minutes throughout the week, was able to see their teacher kiss the pig. In addition, when the elementary as a whole hit their total reading goal for the week (the 60,000 minutes goal was blown away as the students hit 80,000 minutes), school superintendent Geoff Brown was turned into a massive pancake. Then, the students within each class who read the most minutes had the opportunity to cover that pancake with gallons of maple syrup, flour, milk, breakfast cereal and the like. Though the annual Jog-a-thon event has passed on March 6th, the fundraising effort remains in full swing around the campus as the addressed mailers which students returned to school continue to be mailed back from family and friends. On March 6th, Northwest Christian partnered with Booster-thon, an organization which helped to take the actual run day to the next level. "For our secondary students," explains superintendent Geoff Brown, "this meant a color run. It was a ton of fun. Moving the run event to the next level was part of the effort to continue to see students connected to the Jog-a-thon so that they see it both as a fun part of our culture as well as an integral piece of the school finance picture." "Because the school operates on a black budget before fundraising," explains Geoff, "the Jog-a-thon is poised to really move the needle in terms of improving student experience around the school. This year, for example, in the preschool, we're focusing on playground feature. In the elementary and middle school, the emphasis is on campus security and classroom technology." "Within the high school," explains Geoff, "we're focused on technology and security but we're also taking a larger percentage and applying those funds to student service and missions opportunities." Geoff explains the service commitment within Jog-a-thon this way: "We take 10% of the net and apply it to service learning initiatives across the grade levels. We like doing it this way so that through the school year, when our students focus on service, it's hands-on service we're talking about because the requisite funding has already been provided." "Mailers really continue to be mailed back to the school through even May," says Geoff. "As this happens, we continue to pray that the Lord abundantly provides for our school and our students. We fight to keep tuition as low as we possibly can. Efforts like this, therefore, are integral to improving facilities and the learning experience of students." Last year NCS supporters (corporate and individuals) donated almost $2,000,000 in tax credits to support NCS students! This total was up 28% over the prior year and represented 1,168 awards, an amount that surpassed any other private school in the state. 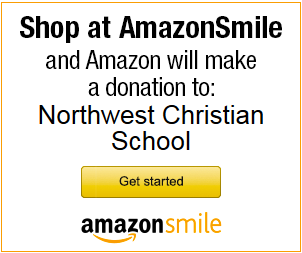 With your help, we can continue to make a Christ-centered education available to NCS students. If you haven't filed your 2014 Arizona State tax return, there is still time to make a 100% dollar-for-dollar state tax credit donation on or before April 15, 2015. Donations are made against your Arizona income tax liability, up to $2,106 per married couple and $1,053 per single person. Because this is a tax credit against your State tax liability, your donation comes back to you; there is no long-term out of pocket cost. To take the credit on your State return, simply use form 323 and 348. Consult your accountant or tax advisor for more information.